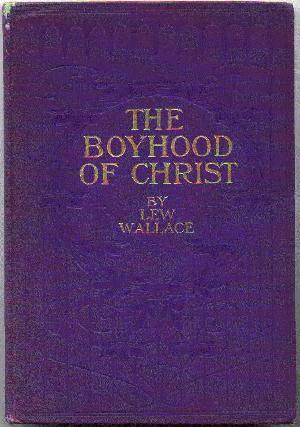 Lew Wallace was the author of seven major works, including Ben-Hur: A Tale of the Christ, the best-selling novel of the 19th century. Wallace developed this novel about the conquest of the Aztec for the next 25 years. His service in the Mexican War and in Mexico after the American Civil War afforded him many opportunities to study the people, language, and geography. He drew on these experiences to better depict his characters and settings. Wallace’s venture into literature was not without detractors. Wabash College president Charles White discouraged him from his literary pursuits. 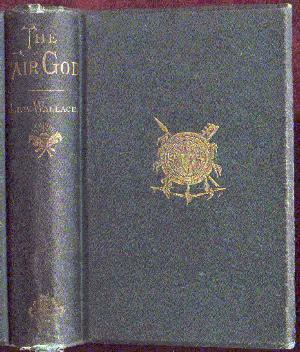 Nevertheless, James Osgood published The Fair God in 1873. The title of the novel came from the light complexion of the conquistadors whom the Aztecs believed represented their returning god, Quetzalcoatl. Sales of the novel were moderate. The greatest criticism was the unpronounceable names of the Aztec heroes such as Guatamozin and Hualpa. However, Wallace managed to gain a literary reputation (at least in Indiana) and was encouraged to continue in his literary pursuits. Ben-Hur was Lew Wallace’s crowning achievement. The best-selling novel of the 19th century, Ben-Hur was translated into at least twenty different languages, including Arabic, Portuguese, Thai, and Hebrew. It has never been out of print. To read more about this tale of love, betrayal, revenge, and forgiveness, click here. When Benjamin Harrison was nominated for president in 1888, he turned to his good friend Lew Wallace to produce a campaign biography. Despite having only a month to write, Lew eventually decided to write the biography. In an age before radio or television, biographies were a good way for voters to familiarize themselves with political candidates. Although we will never know the precise impact the biography had, Harrison was elected as the 23rd president of the United States. The Life of Gen. Ben Harrison remained the standard Harrison biography for over 70 years. The group is curious to learn about Christ’s boyhood. In reply, Uncle Midas recounts some stories from pseudepigraphous literature (non-canonical Christian writings of a later than first-century origin). For instance, he relates the story of a young Jesus making doves out of clay and bringing them to life. In the end, Uncle Midas concludes that the stories are just speculation and all that he can know for sure is what is in the gospel accounts. When President James Garfield appointed Lew Wallace as U.S. Minister to Turkey, he requested that Wallace research and write another novel during his Turkish tenure. Harper and Brothers were also anxious for another novel and gave Wallace a $500,000 advance. The resulting novel was The Prince of India: or Why Constantinople Fell. The novel’s main title is misleading, since the book has nothing to do with India. The subtitle is more telling of the book’s content. The novel takes place in the years leading up to the fall of Constantinople in 1453. The title character, the Prince of India, is the legendary Wandering Jew in disguise. The Wandering Jew was a popular character in 19th century fiction. According to myths, the Wandering Jew lived in first century Palestine and either struck or insulted Jesus on the way to Golgotha. In punishment, Jesus said, “Tarry thou until I come.” In other words, Jesus curses the Wandering Jew with immortality. The Wandering Jew lives innumerable lifetimes and witnesses the deaths of his loved ones throughout the centuries. 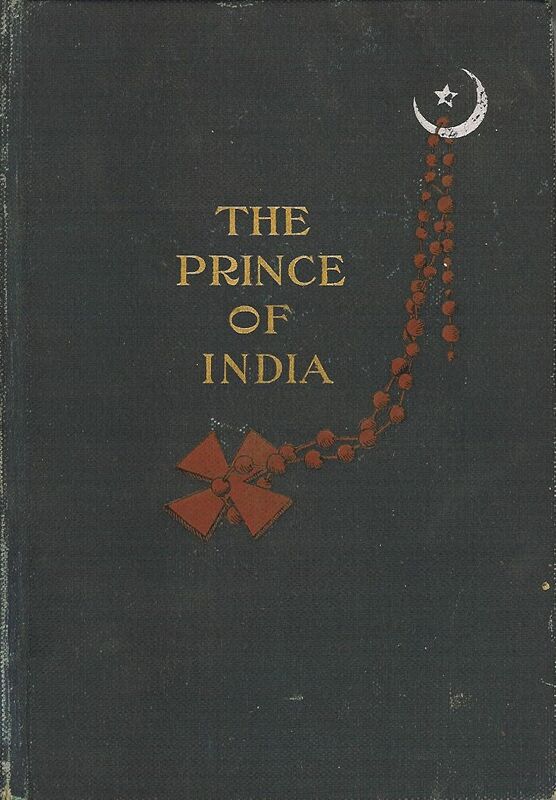 In The Prince of India, the Wandering Jew is a vengeful character. He arrives in Constantinople to present his idea of a one-world religion to the emperor. The emperor ignores him, so he lends his services to Mohammed II, who plots to capture the city. Mohammed II captures the city. The Wandering Jew is transformed to a younger version of himself and goes off to new adventures, unrecognized by those who knew him. 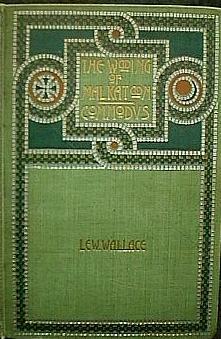 Wallace considered this novel to be his best work at the time of its publication. The public and most critics disagreed. One fan was so bold as to write Wallace and told him that he should have stopped after Ben-Hur. Like Ben-Hur, The Prince of India was adapted into stage play in 1907; however it was short-lived in comparison. The Wooing of Malkatoon is a poem based on a Turkish legend of Prince Othman, founder of the Ottoman Empire, and how he won his bride, Malkatoon. Wallace dreamed of being the author of a successful play, but that dream never became a reality. Wallace shared the manuscript with various actors and producers without receiving serious interest. Commodus was never produced. 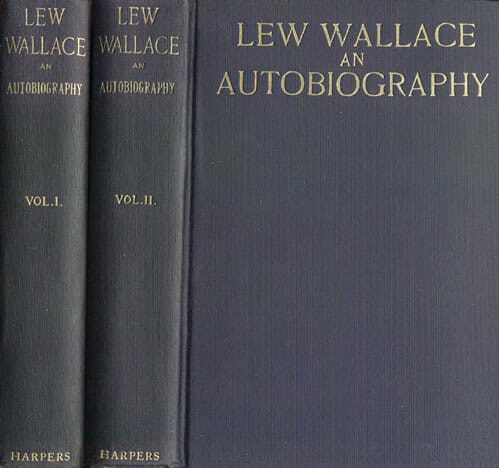 Lew Wallace’s autobiography was to be the crowning achievement for one of the most famous authors of the late 19th century. Wallace’s own life made the adventures of Ben-Hur pale in comparison. The author, soldier, diplomat, lawyer, politician, inventor, musician, and artist had a great story to tell. Unfortunately, at the time of his death, he had only completed his autobiography up to the Battle of Monocacy, leaving 40 years of his life unrecorded. Susan Wallace assisted her journalist friend, Mary Hannah Krout, in completing the autobiography. They used Lew’s correspondence and articles he had written. This section does not have the narrative flow of Wallace’s own Part I.